542 horsepower and 170 mph in a stylish midsize SUV that'll be available for only one year. As it turns out, the Range Rover Velar SVR we’ve been spying on for the last several months will adopt a different suffix – SVAutobiography Dynamic Edition. The fastest and most powerful Velar to date, the gorgeous midsize SUV retains the elegant lines of the regular model and combines them with a bit more attitude as you’d expect from a range topper. 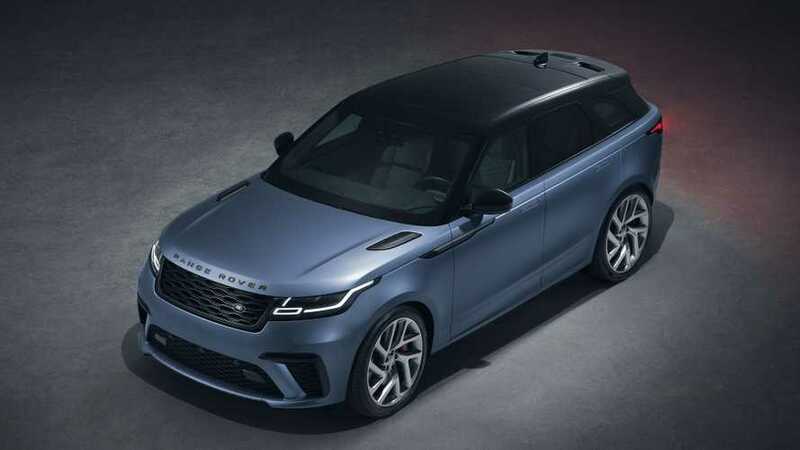 Unsurprisingly, the new flagship Velar adopts Land Rover’s mighty supercharged 5.0-liter V8 with 542 horsepower (405 kilowatts) and 502 pound-feet (680 Newton-meters) of torque. The beefy engine is hooked up to an eight-speed automatic transmission and enables the high-performance SUV run to 62 mph (100 kph) in just four and a half seconds before reaching a maximum speed of 170 mph (274 kph). There’s more to the SVAutobiography Dynamic Edition than its supercharged heart as the engineers have tweaked the all-wheel-drive system with an uprated transfer box able to cope with the grunt coming from underneath the hood. It took a whopping 63,900 hours to optimize the handling, ride, and responsiveness and make sure everything is perfectly calibrated for the more aggressive nature of Land Rover’s speedy SUV. Developed by Land Rover Special Vehicle Operations, the crown jewel of the Velar range had to be equipped with larger brakes engineered by Brembo to make sure these would be a match for the SUV’s higher velocity. The reputable Italian brake manufacturer will be supplying 395-mm front and 396-mm rear discs featuring a two-piece construction to ensure a lightweight construction. Brembo's ventilated brakes have a new design specifically created to better dissipate heat in order to handle the higher braking forces of the performance SUV. These are paired with standard 21-inch wheels or to an optional larger 22-inch set, and in both cases, the brake calipers are finished in red and adorned with the "Land Rover" lettering. Changes to the bodywork include a redesigned front bumper with more generous air intakes necessary to keep the engine and brakes nice and cool. At the back, the menacing quad exhaust tips denote it’s not an ordinary Velar. Those red brake calipers we’ve mentioned earlier can be had in a glossy black finish for a more subtle appearance. Stepping inside the cabin, the Land Rover Range Rover Velar SVAutobiography Dynamic Edition (the name is quite the mouthful, isn’t it?) gets a sportier steering wheel paired with aluminum gear shift paddles. Just to make it a bit more special than the lesser versions, there’s a knurled finish for the infotainment system’s control dials and also for the rotary gear selector. At an additional cost, a sportier vibe can be achieved courtesy of a carbon fiber pack. U.S. pricing details are not available at the time of writing, but over in the U.K, the new top-spec Velar starts off at £86,120. It will be available for only a year. 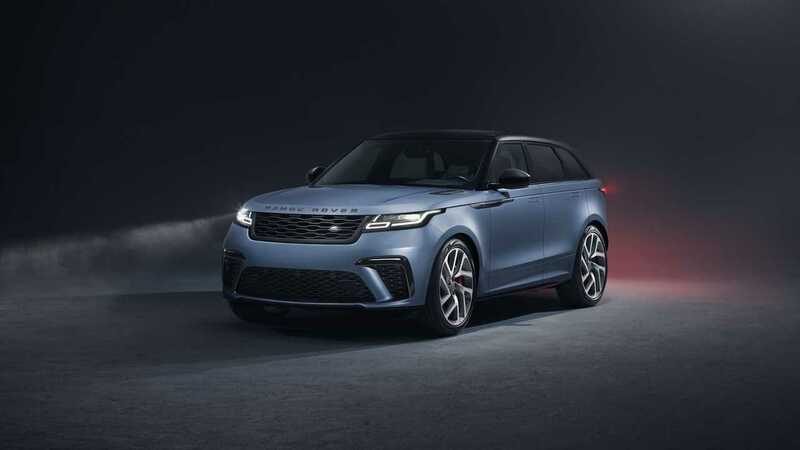 5 February 2019, Whitley, Coventry, UK – Reigning World Design Car of the Year, the Range Rover Velar receives more performance, luxury and exclusivity with the introduction of the limited ‘SVAutobiography Dynamic Edition’. On the outside, the award-winning Velar features a new front bumper with larger air intakes to feed the V8 Supercharged engine and cool the uprated braking system. A new grille and lower side mouldings combine with a revised rear bumper featuring integrated quad exhaust finishers. The larger wheels indicate the performance focus of the SVAutobiography Dynamic Edition, helping to generate more grip and accommodating larger brakes. Its 395mm front and 396mm diameter rear brake discs feature a two-piece construction to optimise weight. The innovative designs also dissipate heat more effectively to cope with the higher braking forces generated during high performance driving. The purposeful exterior is matched by a heightened sense of luxury inside with a carefully curated combination of finishes and upholstery. The twin-stitched, perforated and quilted Windsor leather is unique to the SVAutobiography Dynamic Edition and is available in four colour combinations (Ebony, Cirrus, Vintage Tan and Pimento) and the SVAutobiography Dynamic Edition features 20-way adjustable heated and cooled front seats with memory and massage functions as standard. The special touches inside extend to the unique sports steering wheel, which features a specially contoured rim and tactile aluminium gear shift paddles. Lower down, the rotary gear selector and control dials for the Touch Pro Duo infotainment system all feature a sophisticated knurled finish. An optional carbon fibre pack for the interior adds a more contemporary feel to the cabin, while sports pedals and illuminated metal treadplates with Range Rover script complete the look. The all-wheel drive system has been uprated too with a transfer box capable of withstanding the higher loads generated by the 5.0-litre supercharged V8 engine. The advanced Intelligent Driveline Dynamics system precisely and imperceptibly distributes engine torque to suit the conditions. The set-up can direct as much as 100 per cent to the rear depending on the conditions. The new Velar SVAutobiography Dynamic Edition is available in six exterior colours: Firenze Red, Santorini Black, Corris Grey, Fuji White, Indus Silver and, by special order, Satin Byron Blue.